I love the spacecraft possibilities of water towers. 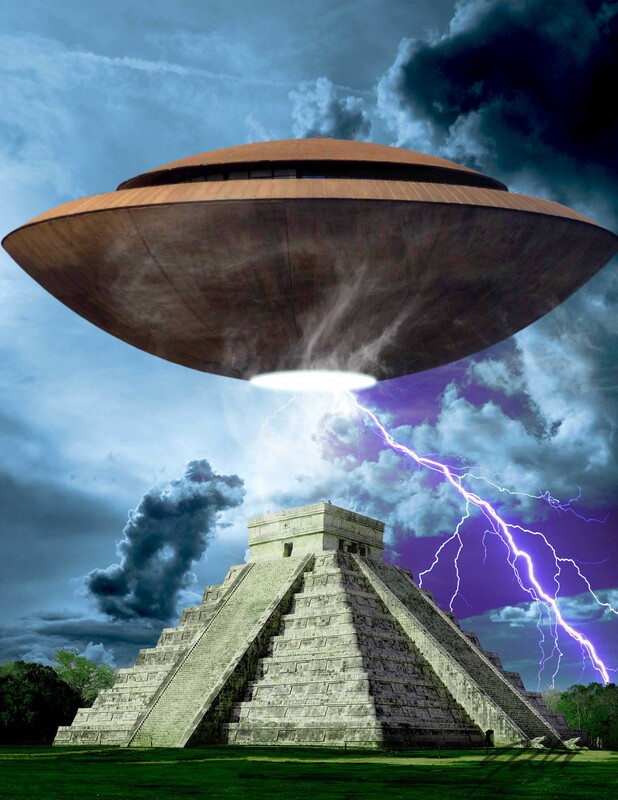 Here’s one posing as a flying saucer over an Aztec pyramid. Not one of my more complicated pieces but fun in its own way.